When did Anheuser-Busch acquire the famous Budweiser Clydesdales? They were formally introduced to August A. Busch Sr. and Anheuser-Busch on April 7, 1933, to celebrate the repeal of Prohibition. August A. Busch Jr. wanted to commemorate the special day. To his father’s delight, the hitch thundered down Pestalozzi Street carrying the first case of post-Prohibition beer from the St. Louis brewery. August Anheuser Busch Jr. was a master showman and irrepressible salesman who turned a small family operation into the world’s largest brewing company. 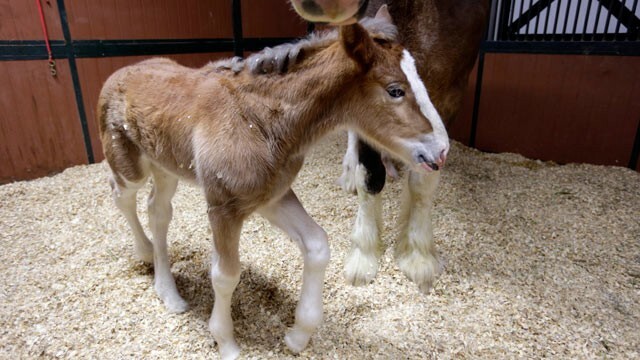 What are the qualifications to be a Budweiser Clydesdale? 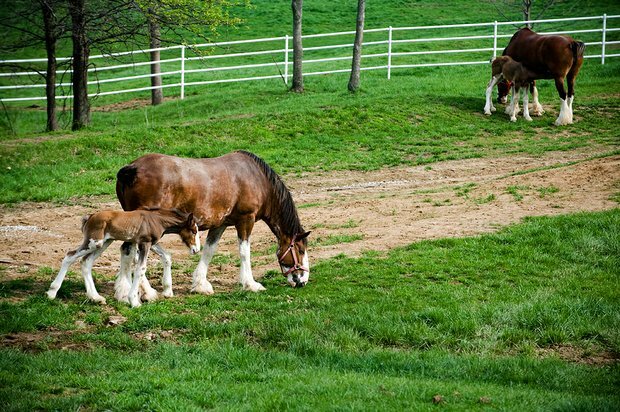 To qualify for one of the six hitches (five traveling and one stationary), a Budweiser Clydesdale must be a gelding at least four years of age. He must stand 72 inches, or 6 feet, at the shoulder when fully mature, weigh between 1,800 and 2,300 pounds, be bay in color, have four white stocking feet, a blaze of white on the face, and a black mane and tail. 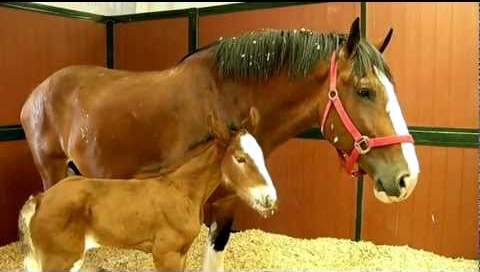 How much food and water do the Clydesdales need? Each hitch horse will consume as much as 20 to 25 quarts of whole grains, minerals and vitamins, 50 to 60 pounds of hay and 30 gallons of water per day. Where are the Budweiser Clydesdale hitches located? 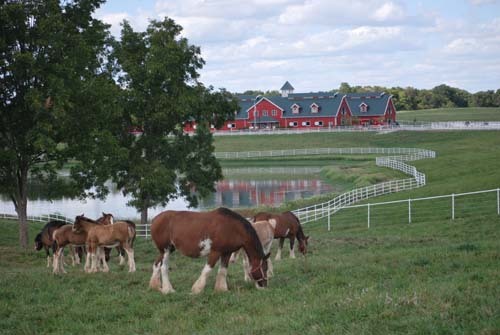 Five traveling Budweiser Clydesdale hitches are based in St. Louis, Missouri; Menifee, California; San Diego, California; Merrimack, New Hampshire; and San Antonio, Texas. 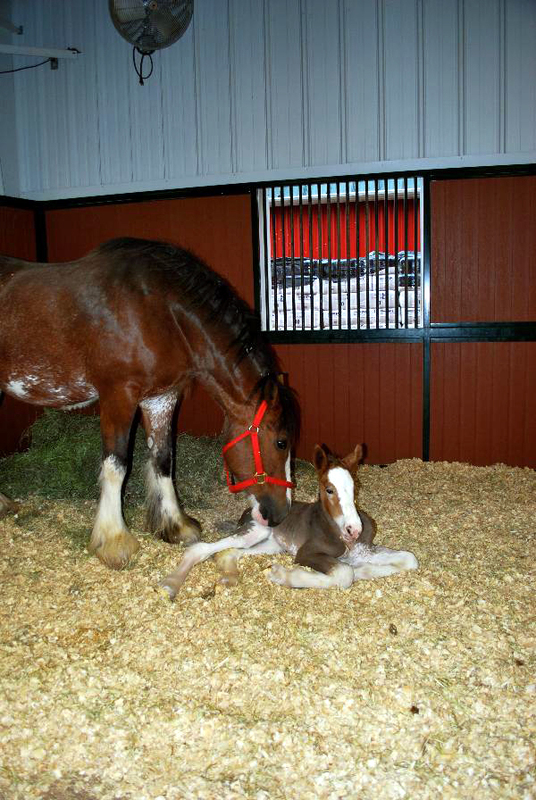 The Budweiser Clydesdales can be viewed at the Anheuser-Busch breweries in St. Louis, Merrimack and Ft. Collins, Colorado. 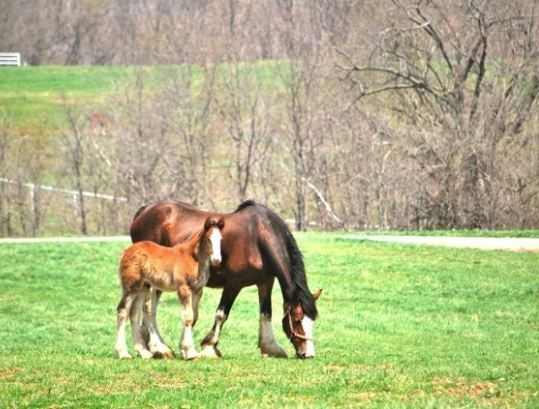 Where is the official home of the Budweiser Clydesdales? The official home of the Budweiser Clydesdales is an ornate brick and stained-glass stable built in 1885 on the historic 100-acre Anheuser-Busch brewery complex in St. Louis. The building is one of three located on the brewery grounds that are registered as historic landmarks by the federal government. 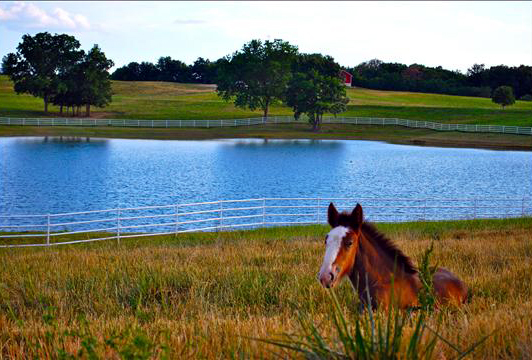 Who travels with the Clydesdales? Expert groomers travel on the road with the hitch. They are on the road at least 10 months every year. When necessary, one handler has night duty to provide round-the-clock care for the horses, ensuring their safety and comfort. 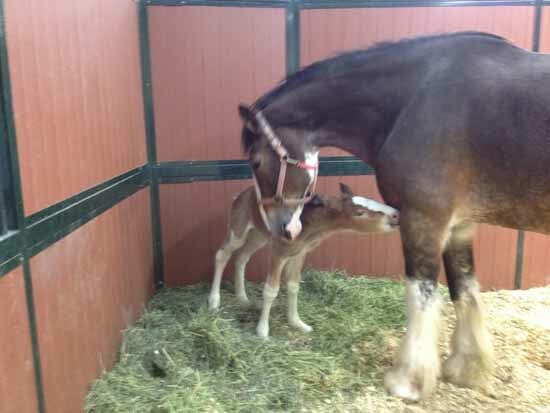 How do the Clydesdales get to all of their appearances? Twelve horses, the famous red, white and gold beer wagon and other essential equipment are transported in three 50-foot tractor trailers. Cameras in the trailers (with monitors in the cabs) enable the drivers to keep a watchful eye on their precious cargo during transport. The team stops each night at local stables so the “gentle giants” can rest. Air-cushion suspension and thick rubber flooring in the trailers ease the rigors of traveling. Is driving the hitch a difficult job? Driving the 12 tons of wagon and horses requires quite a bit of strength and skill. The 40 pounds of reins the driver holds, plus the tension of the reins, equals 75 pounds. All hitch drivers are put through a rigorous training period before they are given the reins. 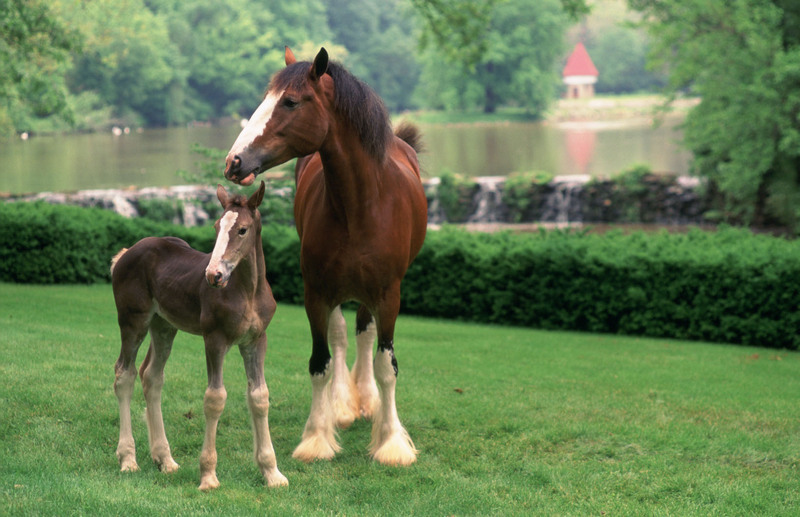 Can you describe a Budweiser Clydesdale’s harness? Each harness and collar weighs approximately 130 pounds. The harness is handcrafted from brass and leather. Pure linen thread is used for the stitching. The harness is made to fit any horse, but the collars come in different sizes and must be individually fitted like a suit of clothes. 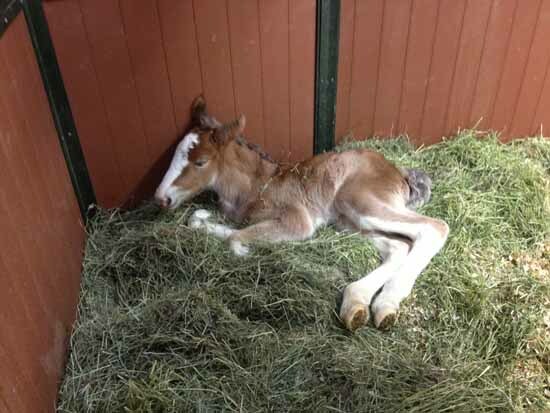 Do the Clydesdales have names? 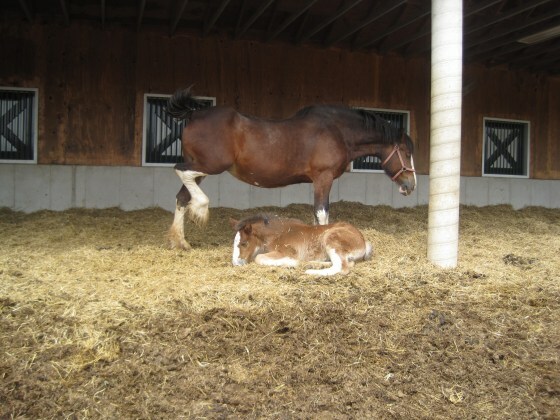 Duke, Captain, Mark and Bud are just a few of the names given to the Budweiser Clydesdales. 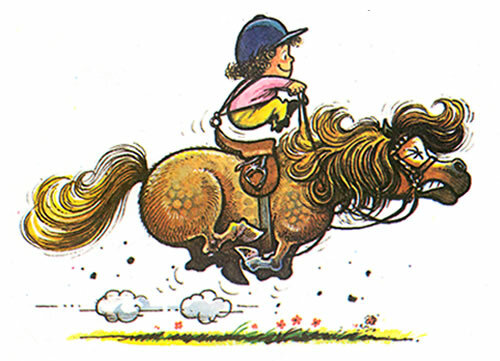 Names are kept short to make it easier for the driver to give commands to the horses during a performance. How big are the Clydesdales’ horseshoes? 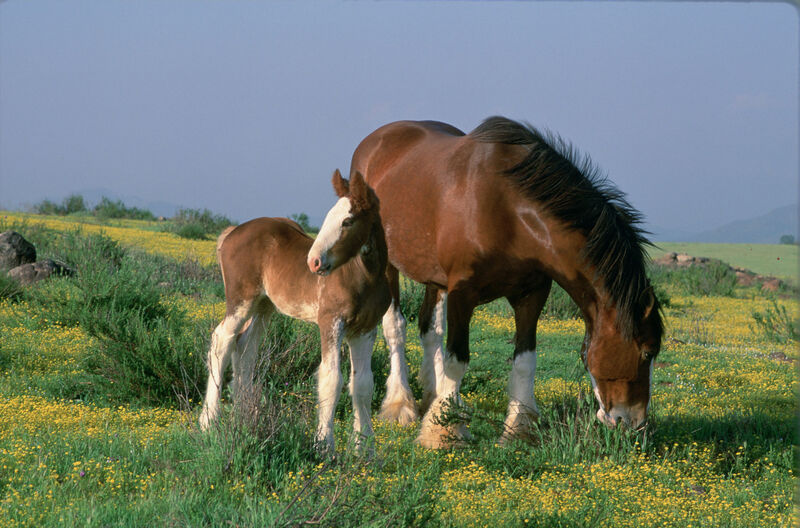 Clydesdale horseshoes measure more than 20 inches from end to end and weigh about five pounds – more than twice as long and five times as heavy as the shoe worn by a riding horse. A horse’s hoof is made of a nerveless, horn-like substance similar to the human fingernail, so being fitted for shoes affects the animal no more than a manicure affects people. Why does a Dalmatian accompany the hitch? Dalmatians have traveled with the Clydesdale hitch since the 1950s. The Dalmatian’s original purpose was to guard the hitch (and protect the beer) as the driver made his beer deliveries. The Dalmatian breed long has been associated with horses and valued for their speed, endurance and dependable nature. Dalmatians were also known as coach dogs, because they ran between the wheels of coaches or carriages and were companions to the horses. Today, the Dalmatians are perched atop the wagon, seated next to the driver. What kind of wagons are used? The wagons are Studebaker wagons (circa 1900) that were converted to deliver beer.The wagons have two braking systems; a hydraulic pedal device that slows the vehicle for turns and descents down hills, and a foot brake that locks the rear wheels when the wagon is stationary. How many horses travel as a team? 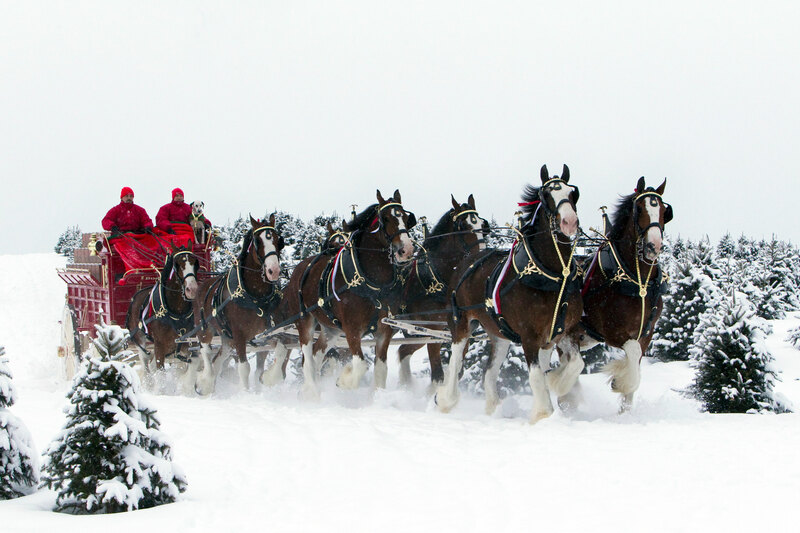 Groups of ten Clydesdales travel together as a hitch team. Eight Clydesdales are hitched together to pull the wagon. Two horses travel as alternates. What determines the placement of each horse? The physical ability of each horse determines its position in the hitch. Wheelhorses (the pair closest to the wagon) must be large and strong enough to start the wagon’s movement and to use their weight to help slow or stop the vehicle. The body (second position) and swing (third position) pairs must be agile to turn the wagon. The leaders (the pair in front, furthest from the wagon) must be the fastest and most agile pair.